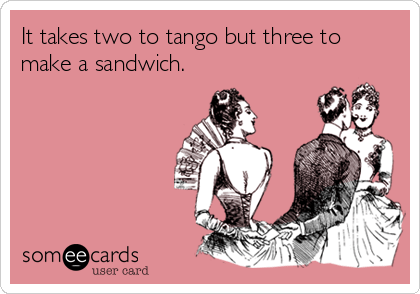 The sandwich is a basic step in tango – it is taught among the first figures on courses, soon after the cross-lead and the forward and backward ochos. It is called mordida, sanguche or sanguchito in spanish, and, not surprisingly English simply calls it sandwich. The name comes from the position of the feet. 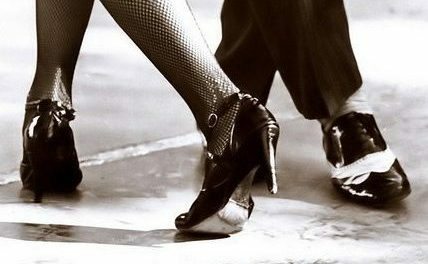 As soon as you understand why, you have half-learnt the step! As you can see on the image, the woman’s foot is in between the two feet of the leader, forming a sandwich. The position can be changed, in this case the leader’s foot is positioned in between the two feet of the woman. 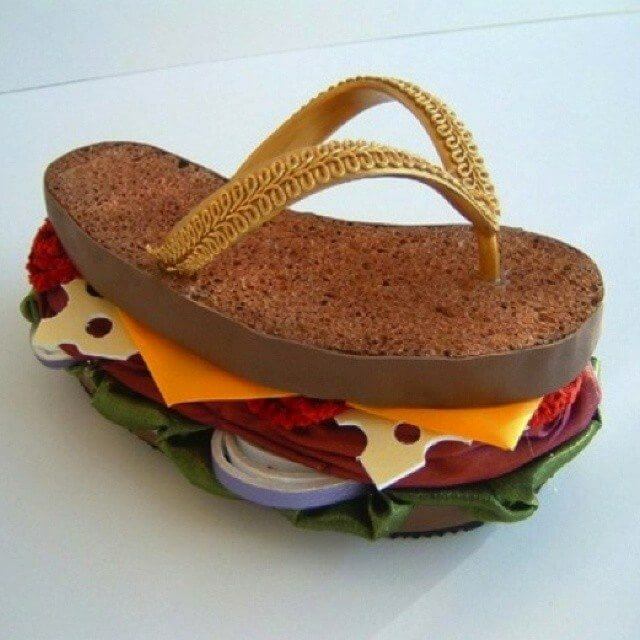 Most places teach the sandwich-step in a similar way. You will probably recognize your school’s way on one of the following videos. Normally it is prepared with a backward ocho. However, what happens after the ocho differs in the videos, so it is worth checking them all out! Of course there are endless possibilities of the sandwich step, and to avoid getting lost in them, I only selected three videos. This is my favorite for a simple reason: no one ever showed me this way of closing down the step!Every day is an opportunity to learn something new! Unfortunately the voice is delayed on this one too, but it is a great example of the figure! I thought a lot about inserting other videos here – all of them are different and you can catch many useful nuances from them. I don’t necessarily agree with all of them, however you can learn a lot! 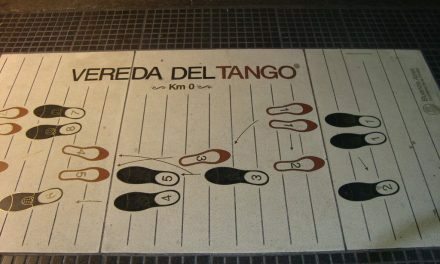 There are always countless ways to execute a figure or step combination in argentine tango. 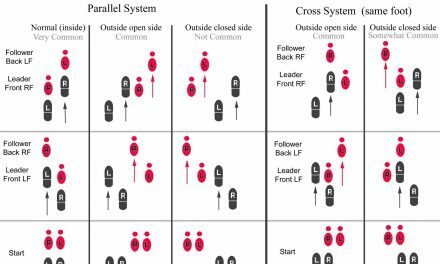 Hopefully after a certain time spent dancing everyone will have a good critical judgment to help them catch the useful moves of the below videos in order to improve their dance. 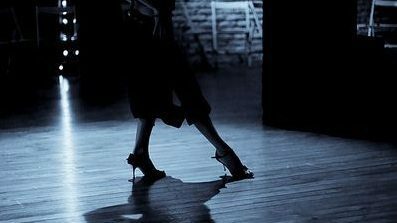 Join us at All about argentine tango facebook group for notifications on new articles and other interesting tango-news!